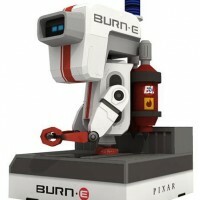 BURN-E (promoted with an interpunct as BURN·E) is a short film by Pixar Animation Studios based on the movie WALL-E that is attached to the movie's DVD and Blu-ray release on November 18, 2008. 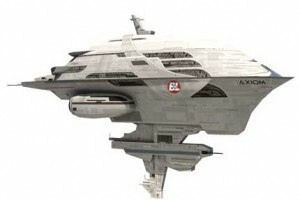 The AXIOM, mothership that appears on WALL E movie, habitated with a human colony that went from earth for 700 years because of the trash problem. 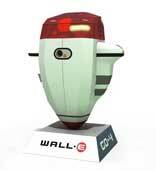 WALL E got aboard this giant ship. It contains thousands of people and their robot assistants. Their life style for 700 years is so easy, It made people on board never walking, just sit and relax watching displays and eat and eat. All of them have obesity, include captain of this ship. The AXIOM finally return to earth after EVE found a sign for vegetation life form on earth. 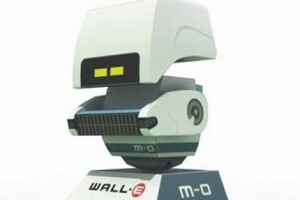 M-O (Microbe Obliterator) is a cleaner-bot programmed to clean anything that comes aboard the Axiom that is deemed a "foreign contaminant". 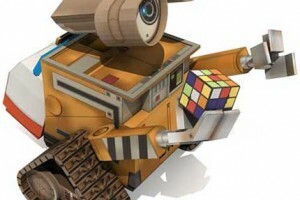 M-O Travels speedily around the Axiom on his roller ball, cleaning the dirty objects he encounters.